As the main protagonist of the classic cartoon The Flintstones, Fred Flintstone has become a cultural icon for children since his 1960 debut. This beloved Hanna-Barbera show enjoyed a six-year run in primetime, during which children of all ages have gleaned valuable wisdom from the characters. Here are ten of the lessons that kids have learned over the years from watching Fred Flintstone. 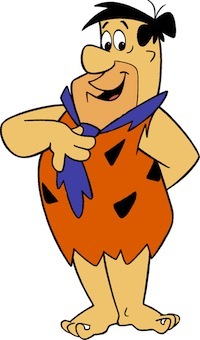 A Short Temper Can Lead to Problems – Fred Flintstone is portrayed as a bit of a blowhard; his short temper is the plot device for several episodes. Kids watching these classic cartoons can learn that a short fuse often leads to complications. Gambling Addiction is a Very Real Issue – As an addiction, gambling problems are often overlooked in society. However, Fred Flintstone is a perfect example of a beloved character with a serious problem; the mere mention of the word “bet” is enough to send him into hysterics. Some People’s Bark Is Worse Than Their Bite – Despite being a short-tempered man, Fred is a basically good character. He’s often depicted as a character that will go out of his way to help those that he cares about. When You Make Mistakes, Make Amends – Fred Flintstone often finds himself on the wrong end of his classic schemes, creating the necessity to make apologies. However, he’s always genuinely sorry and makes an impressive effort to apologize profusely when he upsets someone. Television is Essentially a Marketing Tool – From cigarettes to grape juice, the product placement in the Flintstones was the stuff of legend. Modern kids have become accustomed to much more subtle marketing campaigns; seeing these blatant marketing ploys can help them see that commerce is the driving force of television. Family Comes First – Aside from everything else, Fred Flintstone is essentially a family man. His first priority is Wilma, and later their daughter Pebbles. Kids seeing this behavior from Fred can learn that family is one of the most important things in most people’s lives. Strong Characters Are Timeless – Despite being introduced more than fifty years ago, Fred Flintstone is still instantly recognizable. In addition to his cartoon roles, he’s also been portrayed in live-action films, teaching kids that a well-loved character never goes out of style. Good Nutrition is Key – In the minds of generations, “Flintstone” has been synonymous with “vitamin.” The marketing of Flintstones vitamins was so strong that even now, years after the original series has ended, there are still children who take one every day. Refusing Complacency is Okay – Most of Fred’s schemes revolve around financial gain, as he’s dedicated to making sure that his family is well taken care of. The success, happiness and health of Wilma and Pebbles are the driving force behind his refusal to be complacent; kids watching him strive to improve his quality of life can learn a very valuable lesson about goals and determination. Good Friends Are The Greatest Treasure – Though Fred is focused on providing the best possible life for his family, he also understands the value of the Rubble family’s friendship. The families spend much of their time together, with Barney often helping Fred during his schemes. Fred is a fun and lovable character who always seems to be getting himself into a scrape of one kind or another. A true, blue-color working man, he has always been an icon of the average hard-working family man.